When a child suffers from anxiety, their day-to-day struggle impacts not just their own well-being, but their social relationships and the well-being of their family members, too. Families can greatly benefit from working through the problem together, for the sake of all involved. Although the anxiety sufferer generally bears the brunt of their condition, their feelings and how those feelings shape their interaction with the world can take a heavy toll on interpersonal relationships. Research suggests that having a child with a psychiatric condition negatively impacts family functioning in numerous ways, including heightened worries and concerns over the child, added expenses and lost income, strained family relationships, limited social interactions and restricted activities. Parents: As a parent, your child’s anxiety can make you anxious, and you may blame your parenting techniques for your child’s condition. The anxiety you are experiencing from this concern can then creep into the dynamic of your family. Parents may worry about how to help their child overcome their issues, but without causing any additional anxiety as a result. Research published by the National Institutes of Health state the impact of a child’s anxiety extends to parents’ perception of family functioning, particularly their own well-being and adjustment; increased worries, depression, fatigue and health problems were commonly reported, as well as disrupted relationships and restricted personal or social activities. Having a child with anxiety may be an ongoing source of stress for parents, undermining confidence in their parenting role and resulting in self-blame or shame. This may also limit participation in social activities or relationships that could serve as a source of support. These negative effects can cumulatively promote and even increase a child’s anxiety over time. 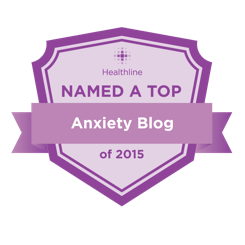 Is It My Fault My Child is Anxious? Siblings: The siblings of nervous children may feel concerned, confused and upset over the anxious behavior that their sister or brother is displaying. This may cause everyone else in the family to feel uneasy and tense. It is important that they understand why this is happening to their sibling, how they should react to their sibling’s anxiety-related episodes, and practical ways they can help. Friends/Classmates: Children struggling with anxiety are often loners. Some have a small, close-knit group of friends, and some sufferers have no friends at all. According to studies, as much as half of children with anxiety do not participate in after-school activities, while another 10% of children may refuse to attend school entirely. They may avoid group work in school or making presentations in front of the class, due to their fear of judgment. Is Your Anxious Child Ready for Kindergarten? Teachers: A child’s anxiety may hamper their relationships with teachers, too. Anxious children may act out, ask an excessive amount of questions in class, or behave aggressively toward teachers and students. They may freeze up with nervousness when called upon in class, and may struggle with certain subjects once the child begins to doubt themselves. They may make frequent trips to school nurse, due to real and imagined physical symptoms caused by their anxiety. They also may avoid submitting their homework, due to feelings that their work is inadequate. These and other negative effects of child anxiety make it essential to include a child’s family and teachers in their treatment plan. This may include behavior-based parenting interventions and parent education programs. Since child anxiety impacts everyone in that child’s world, family-based treatment programs that teach parents how to manage their own negative emotions, while helping their children do the same, can have a major positive impact on the entire family and its wider social circle. In this TV interview, Dr. Christopher McCarthy gives tips on how to communicate effectively with your kids. Watch the Interview. image source. Kids now more than ever are being exposed to sexual images at a younger and younger age. Parenting is complicated by technology, but it can be managed and should be managed in an effort to protect kids. Dr. Chris McCarthy focuses on this issue in this TV interview.